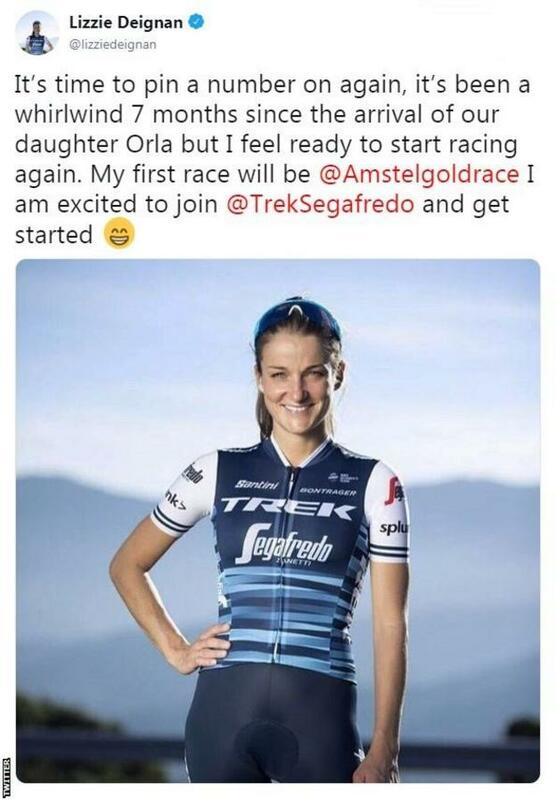 Britain’s Lizzie Deignan will make her return to cycling at the Amstel Gold Race on 21 April – seven months after giving birth to her daughter. The Amstel Gold Race – part of the UCI Women’s World Tour – takes place in Limburg, the Netherlands. 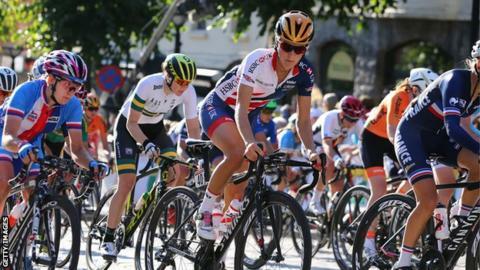 “I cannot wait to join the team and get back to racing,” said Trek-Segafredo rider Deignan, nee Armitstead. “I’m really excited about being back in the team environment. Otley-born former world champion Deignan will also race in the La Fleche Wallonne Feminine and Liege-Bastogne-Liege later this month, before tackling the Tour de Yorkshire and Amgen Tour of California women’s race in May. “I couldn’t miss the opportunity to race in Europe before the end of the Classics season and then look forward to heading back to race on home roads in the Tour de Yorkshire the following week,” said the 2012 Olympic silver medallist.